The County of San Diego Medical Examiner's Department is currently recruiting for Medical Examiner Investigator I. If you have an interest in conducting investigations into the circumstances of death, this is the job for you. Don't miss the opportunity to begin an exciting career with an award winning agency and work at a state of the art facility. 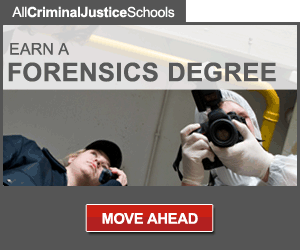 Positions in this class are allocated to the Medical Examiner’s Office. Medical Examiner Investigators are responsible for conducting investigations regarding the mode of death (e.g., suicide, homicide, or natural causes). The investigative work performed is distinguished from that of other law enforcement officials or medical personnel, which focus on criminal evidence, violations of law, or the biological cause of death. Positions in this classification are not sworn peace officers. 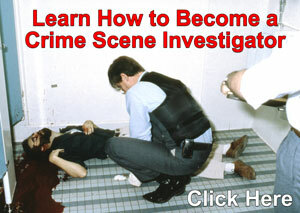 This is the entry level class in the Medical Examiner Investigator series. Incumbents work under immediate supervision and are expected to progressively perform investigative work in a more independent manner. Inquires into the manner, circumstances, and mode of any violent, traumatic, or unusual deaths occurring within the geographic boundaries of the County of San Diego. Conducts visual inspection of the deceased and makes written notes of the bodies’ condition (i.e., degree of rigor mortis, lividity, visual bruises or lacerations, temperature, purge, clothing, position). Interviews and solicits statements from relatives and persons last in attendance or present at the time of death. Searches for and impounds physical evidence which may have contributed to the death (i.e., drugs, weapons, suicide notes). Works closely with law enforcement officials to identify the unknown dead. Locates and notifies next of kin. Documents information gathered during the field investigation and utilizes toxicology reports, autopsy reports and decedents medical history in order to write a report of all deaths investigated for the Medical Examiner's case files. Prepares written authorizations needed for the legal disposition of the decedent's body and property. Prepares preliminary reports for the Public Administrator. Prepares detailed descriptions of the unknown dead. Answers inquiries regarding information obtained during field investigations and information contained in the Medical Examiner's case files. Cooperates with other government officials. Acts as community liaison giving orientations and conducting tours of the Medical Examiner's facilities. Possession of an associate's degree or completion of 60 semester units from an accredited U.S. college or university, or a certified foreign studies equivalency. Coursework must have included 15 semester units in medical terminology, anatomy, biology, chemistry, investigations, forensics, or physiology.